This book introduces Microsoft Power BI basics through a scenario-based guided tour of the tool, showing you how to build analytical solutions using Power BI. Read the book to get an overview of Power BI, or dig deeper using the book's examples. From the table of contents: About Your Author; About This Book; What is OneNote; What's New in OneNote 2013; The Default Notebook; Creating a New Notebook; Structuring your Notebook; Adding Content; Formatting; Creating Tables; Summary. This user guide will enable you to save time when working in Outlook 2013. You will learn how to: Create folders to keep your email tidy; Use QuickSteps to do things such as filing or creating standard emails speedily; Add appoinments; and more. Visio is drawing and diagramming software that helps make it easy for business professionals to visualize, explore, and communicate complex information. Go from complicated text and tables to Visio diagrams that communicate information at a glance. Office 365 is Microsoft's smart and simple answer to cloud computing. This book shows you how you can use cloud computing -- and specifically Office 365, to get more done, collaborate more easily, and work more flexibly than you ever have before. 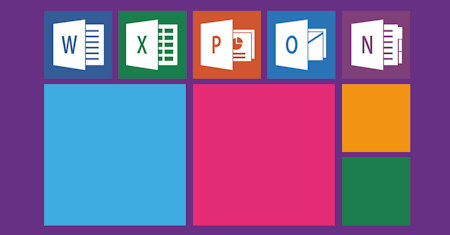 This manual points out the new features of Microsoft's latest office suite, and explains them all in one handy guide. Office 2010 is so expansive that even veteran users will often find that they aren't expert in even half of the capabilities.